When your volume warrants, it is best to ship by a container full of goods just for yourself. It is the cheapest method to get you the lowest landed cost. 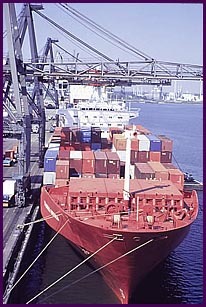 We book container space with the forwarders before your factory production is completed. That way, the goods are inspected by us, then put into the container right at factory. There are several variety of containers such as Regular for dry goods, and others. Of most importance to you, to approximate your landed cost, is how many units of your production will fit into a container. Please view the table below to calculate an approximate figure. Containers must pass through your country customs port. This means that you will need the services of a broker at your end. They can answer all your questions about documentation, duty to be paid, and arrange for pickup or delivery.